This is the first handmade book I made in September 2005. I had admired many of the lovely handmade books at Prairie Art Stamps in Springfield, Illinois. When the next class was offered, I signed up. 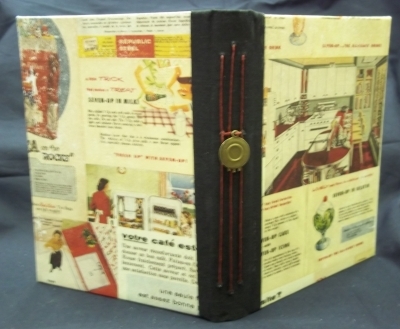 I loved making this book and have been captivated by hand bookbinding ever since! 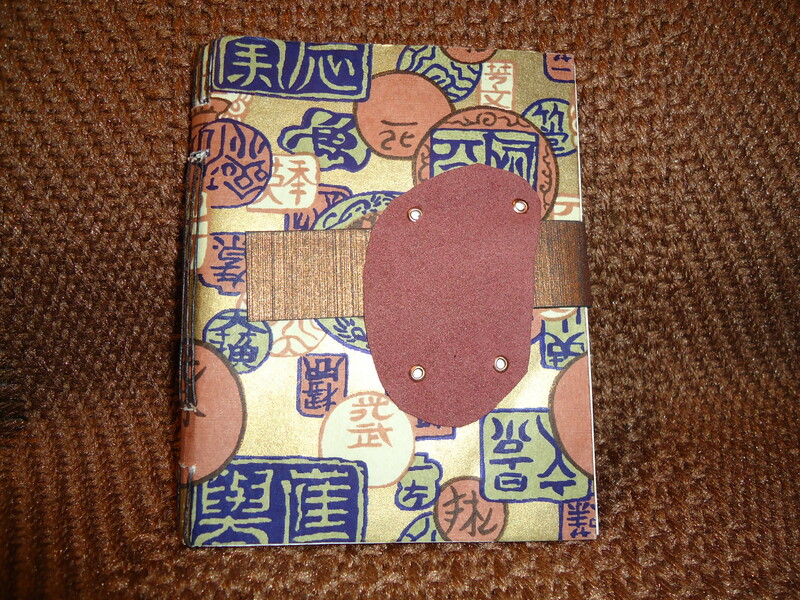 This book is a simple long stitch binding and the cover is Japanese Yuzen Washi paper. Looking back, I see beginners “problems.” But considering that I really didn’t know what I was doing or know anything at all about bookbinding, I’m proud of the results. My teacher was Angela Finet, owner of Angela’s Happy Stamper in Reston, Virginia. Angela is an accomplished bookbinder and a wonderful teacher. I always remind her that she is the one who got me “hooked” on bookbinding.